The Roadster series from Triumph depicts the manufacturer’s naked street fighters that have been designed to drench the quest of adrenaline hungry riders. With its chubby fuel tank, naked chassis and powertrain layout, and an extremely menacing exhaust note, the Roadster motorcycles have been one of the most identifiable products that come with a Triumph badge. 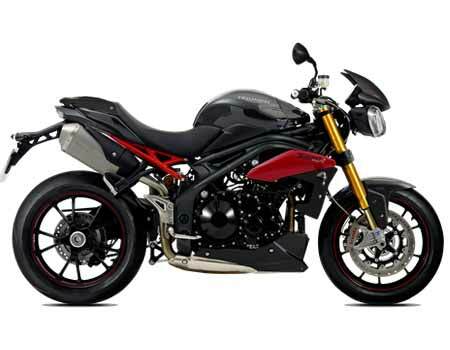 The series contains two bikes : Street Triple and Speed Triple. Both these bikes, being extremely popular over a wide range of foreign markets, were a part of the 11 motorcycles that the company launched last year while making an official entry into the Indian two-wheeler market. Owning characteristics of a street fighter, the Roadster series bikes come with an extremely potent engine and gearbox setup that helps the rider to have fun on both straight roads and twisty tarmacs.